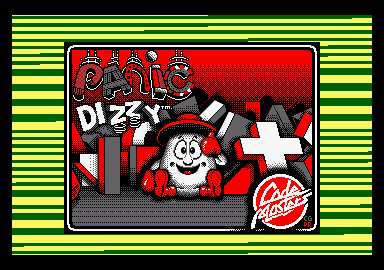 Yes, our egg-shaped hero is up to his old tricks again, in the latest Dizzy epic from Code Masters. This time, Dizzy's in a tizzy about Grand Dizzy's latest invention, the toy making machine. Due to a slight miscalculation, the machine has gone haywire. Well, what did you expect from a Grand Dizzy invention? 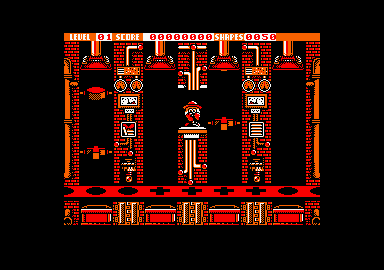 Despite the attention of Dizzy and all his friends, the machine just keeps on getting faster and faster and, it's up to Dizzy to stop the machine from going over the top and doing itself a terminal mischief. So, what do you have to do? Help Dizzy out with some magic shapes which are being churned out of the chutes at the top of the machine. 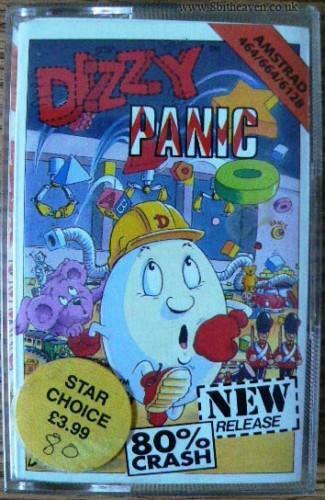 Utilising that age old adage that simplest is best, Dizzy Panic is easy to start, a horror to finish and totally addictive all the way through. As the shapes emerge from the chutes, Dizzy's job is to line them up with the matching slots in the shapeguard at the bottom of the screen. The more shapes Dizzy can put though, the higher up the chutes will stay. However, if the wrong shape reaches the bottom, the chutes start descending, getting you into a right panic if you're not careful. Miss too many and the chutes will reach the floor. Kaput! It's all over. Got the picture? 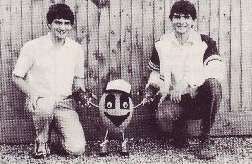 Fantastic graphics, groovy sound effects and another guaranteed winnerfromtheOlicer Twins stable. Be there or be a magic shape of the four-sided variety!